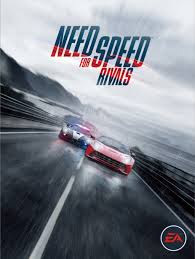 Racers and police compete for notoriety and the best cars in Need for Speed: Rivals for Xbox One, PlayStation 4, Xbox 360,PlayStation 3 and PC. High speed meets high stakes in Need for Speed: Rivals. Play as a lone-wolf racer or a team-based cop as you speed through the streets of Redview County, racking up speed points and putting them on the line to earn even greater rewards. And switch from cop to racer at any time to succeed in every race and every challenge. Winning races means customising your car with the latest upgrades, and personalising it with snazzy paintjobs, rims and more - and you can even save multiple vehicles suited for every situation. Need for Speed: Rivals also introduces new features like Pursuit and Evasion Tech to arm yourself against your opponents, and crashes through the wall between single and multiplayer with the new All-Dive system. Risk everything. Trust no-one. Order Need for Speed: Rivals today!